As you are aware, Amazon shows products that your buyers also bought in the "Frequently Bought Together (FBT)" section of your listing. Those FBT products can easily steal your traffic and sales without you realizing it. Imagine a best seller gets 1000 sessions per day with a conversion rate of 30%, and 20% of the rest 700 sessions go to your listing with a conversion rate of 25%, which is extra 35 sales per day for you everyday! The best part is, you don't need to pay any ads for these 1000+ sales every month! In this post, we will show you the exact method we follow to hack the FBT section of the best sellers in our niche using the Email Extractor tool. You need to carefully choose your targeted products for FBT before any further actions. Top 3 sellers in your niche: To gain the most traffic for free. #1 New Release in your niche: Very easy to associate as a new product, but with high potential to grow big. #1 Complementary of your product: To get potential buyers who may need your product together with the complementary. After you know exactly which products to target, the next step is to get buyers who purchased these products to buy yours too! With the help of Email Extractor, you can easily extract emails of buyers who have purchased your targeted products during any past period. All these emails extracted will be the real personal emails that buyers used to register their Amazon accounts, so you are rest assured with 100% accuracy. Now you get the emails of buyers who purchased your targeted products in the past month, you are just one step away from getting this free associate traffic! 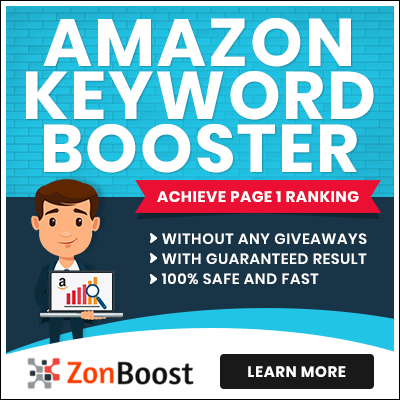 Simply email them with a 30-90% off coupon for your product with a keyword-targeted URL to help boost your Amazon organic keyword rankings at the same time. Please make sure you have fully optimized your listing's images, cleaned up your reviews and uploaded high-quality videos in order to achieve the highest conversion rate. We don't recommend you to extract thousands of emails at one time. Instead, it is better to extract in batches, 200 emails per batch works the best based on our tests. How many emails you need to appear in the Frequently Bought Together section depends on the sales volume of your targeted products, the discount you will be offering to buyers and your product's conversion rate. Normally 200 emails is enough if you can manage to get 50% of them to buy yours. If not, start the second batch with another 200 emails. Simple as that. After these 3 simple steps, you will not only hack the Frequently Bought Together section of the best sellers, boost your keyword rankings and BSR, improve sales velocity and listing quality score, but also create your own email list of targeted buyers who are interested in your niche. You can also promote your products to them whenever you have another launch. This may be the fastest, easiest and cheapest way to build your own audience database. Imagine how much Facebook ads cost can be saved and how targeted these buyers are! Start Building Your Email List Now! Get the latest info about our promotions & new features!